When you shake a snow globe you get a glimpse of the wintery playground that is Park City. As other parts of the country hunker down for the winter season, our town ramps up for serious fun. For Park City family activities in the winter, there is no shortage of enjoyable pursuits on or off the slopes. Whether you are a hard-core powder hound or a cultured theater buff, we have got the winter activity to please young and old. There is never a dark night at the Egyptian. This local favorite has a number of family-friendly holiday programs like “Elf the Musical JR” and the “Holiday Spectacular and Sing-Along”. 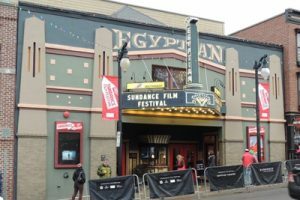 If you are looking for an evening at the theater, head up to the Egyptian on Main Street. Make sure to check out the website first as not all programming is all-ages. It might take a lot of balance and coordination, but a family day ice-skating can’t be beat. Whether you favor the groovy lighting of Cosmic Skate at the local ice arena or an outdoor experience surrounded by snow-capped mountains, lace up your skates and get ready to glide. Park City has an abundance of beautiful trails that are great to explore on snowshoes. In the Summer these trails are busy but in the winter, you can find yourself enjoying the serenity of a quiet aspen grove. Snowshoes make trekking through the fresh snow fun and easy. Get your work out in or enjoy a leisurely hike filled with picturesque landscapes. It is easy to do, making it one of the fastest growing winter sports. Numerous outdoor stores can get you outfitted or join us for a guided tour. A great way to enjoy the mountains without the crowds! Make your friends green with envy when they hear you went dog sledding with your family. Explore snow-covered meadows in the Wasatch and Uinta Mountain Ranges from a dogsled pulled by a team of Huskies. You will get to “learn the ropes” and meet this incredible team of sled dogs. Children ages 3 and older are welcome. We take tubing to a new level here in Park City. 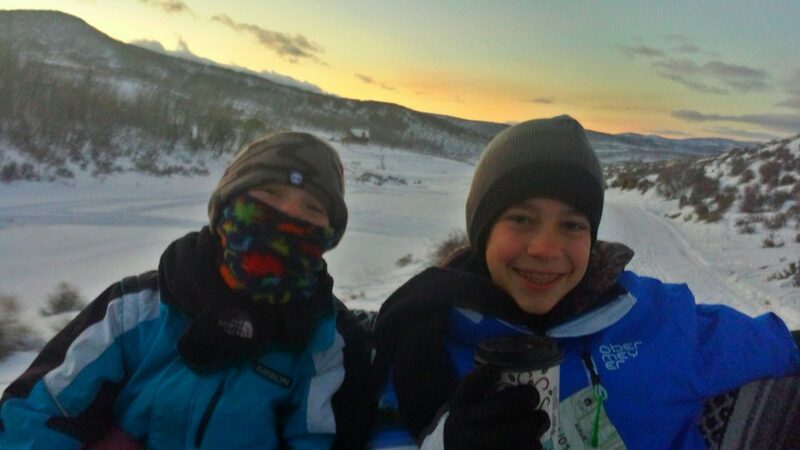 With rope-tows and magic carpet lifts, all you have to do is bundle-up and plunk down the hill in a cushy tube. Screams of delight are encouraged. Soldier Hollow offers the longest runs at 1,200 feet of fun. Gorgoza Park is a great place, too. Expert skiers will recognize the name Jupiter Bowl for the double black diamond, backcountry-style terrain found at Park City Mountain. For others, Jupiter Bowl means getting off the slopes and onto the lanes for family fun in style. Not only does the bowling center offer top notch bowling, billiards and games, there’s also excellent food and a fully stocked bar. Parties and gatherings can also be accommodated. When you’ve had enough fun on the slopes but are still looking for an adventure in the snow, try cross country skiing. 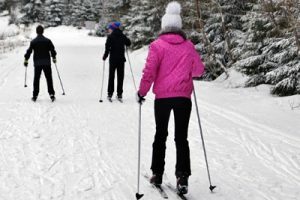 A Cross country skiing tour can be customized to every skier age and ability. Whether it’s an in-town experience or a backcountry trail-breaker our guides are ready to set you up with equipment and get you started on the perfect path. Bring your camera, the Ice Castles in Midway are quite a site. With only six locations in North America, the Ice Castles are made with a special patented technology. It is best to buy tickets in advance on the website and check for other special events like visiting ice queens, musicians and other ice updates. Utah has the only warm-water scuba diving destination in the country. The Crater at the Homestead Resort stays 90-96 degrees Fahrenheit at all times while a hole at the top naturally lets in sunlight and fresh air. Besides scuba diving, there is snorkeling, soaking, paddle board yoga and simply touring the site. Complimentary s’mores are offered at both the St. Regis Deer Valley and the Montage Deer Valley. Since both of these properties are ski-in/ski-out, enjoying a s’more is technically an on-slope activity! The St. Regis provides classic fixings like the milk chocolate Hershey bar and graham crackers but likes to throw in surprises like Reese’s Peanut Butter Cups. The Montage mixes up the s’more offerings with different marshmallow flavors like cinnamon, peppermint and vanilla. Roasting kits are available for purchase. Please check websites for times. Though both are offered daily, hours vary seasonally. See how much fun winter can be. 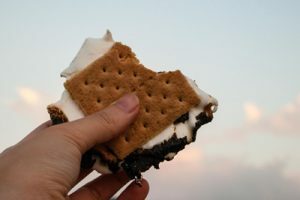 Deer Valley Grocery Cafe also offers s’mores kits, the homemade graham crackers and marshmallows make it hard to share with the kids! Try one of these Park City family activities together and make the memories that will last a lifetime.